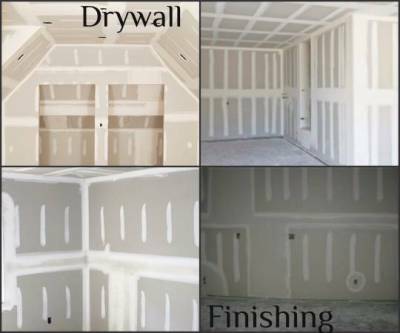 As a drywall finisher, we are responsible for completing the drywall for the next step of construction. After the drywall is hung, we seal the seams between the drywall panels with drywall tape and mud or compound. Finally, smoothing out any lumps on applied surfaces. As a finisher, we are also responsible for smoothing rough edges around sockets and fixture openings, as well as trimming edges around the drywall to maintain even joints. It is up to the finisher to make sure all surfaces of drywall are smooth and flawless. Many homeowners will agree, one of the first remodeling tasks they will attempt is painting. Some say it's an effortless, enjoyable chore they don't mind doing. Some families even make a small party out of it. Mine does! Then there are those that loathe the very idea. That's where we come in! With twenty plus years of experience in the field, we find the task of painting effortless and enjoyable. Being able to transform your vision to reality is our number one goal. 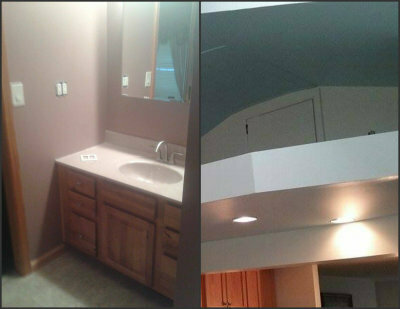 From ceilings to walls, no job is to small or too large. Usually made from Pine, the meticulous work performed on Stair Cases show the time and care we take to perfect and satisfy our customers. From the time we cut our first piece of wood to the last piece we place, your staircase will look more like a work of art instead of steps to the second story of your home. Wooden staircases are elegant, yet add a rustic, countryside touch. They complete an old look in either a new or aged home due to their natural look. Wood also has the habit of looking more beautiful as time passes by, especially with proper care and handling. 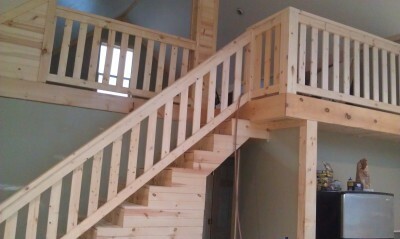 Wooden staircases are hand-made, adding value to your home. It's durable, taking less time to construct. If coated and varnished after construction for added protection, they can easily be cleaned and maintained on an everyday basis. Whether you're framing a home, remodeling an old barn, or building the add-on of your dreams; Framing acts as the skeleton to support and protect the interior and exterior of your project. If the framing is constructed properly, your project, whether it is a home, barn or add-on, should be able to last for years. If improperly framed, a house creates immediate problems for other sub-contractors. Crooked walls and insufficient blocking create difficulties for both the drywall and finish carpentry contractors. Though they can frequently adjust for the poor house framing, it takes them more time and more of your money to do so. Finding and hiring a competent and reliable contractor, with the expectations they perform top quality work from start to finish, is the most stressful part of home renovations. Even with the most competent contractor, any renovation can be stressful, expensive and include unwanted surprises. There are three types of molding and trim that is almost guaranteed to be in a home. 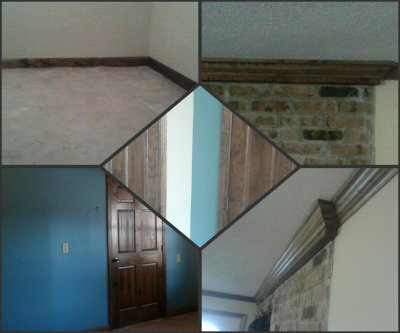 Crown molding, base trim, and casing. Installing crown molding in your home can improve the creative appearance of its interior as well as the general value of your home. Despite the misconceptions of crown molding, the elegant curves and intricate angles elevates a room's importance, drawing the eye up to the ceiling. The purpose of baseboard molding, or base trim to some, is to finish in the area where the wall meets the floor. The last type of trim, which you will find in most homes, is casing. Casing borders the area around the window and door frames. 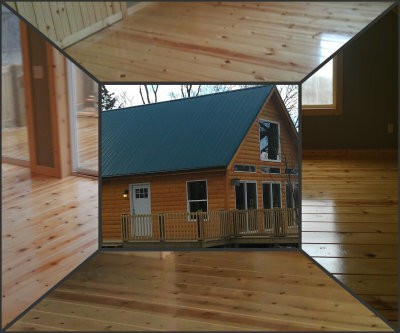 In the construction aspect of our business, we help our customers with deciding factors from framing, to siding, to flooring, to that final paint job. It's important to any contractor on final touches. Floor coverings are just one of them. Hardwood and laminate flooring not only adds to the value of your home, but also adds to the appeal. There is no depreciation on a wood flooring. In fact, it usually adds to the resale of a homes value. As long as maintenance has been followed through, your wood flooring will last for years to come. Wood flooring is also ideal for anyone with allergies. In 2012, 7.8 million children reported respiratory allergies. Wood flooring does not harbor dust mites or mold and does not trap dust or fumes.